Israeli soldiers have reported that a Palestinian was killed, and another injured, when an Israeli settler opened fire on them near Beita town, south of Nablus. 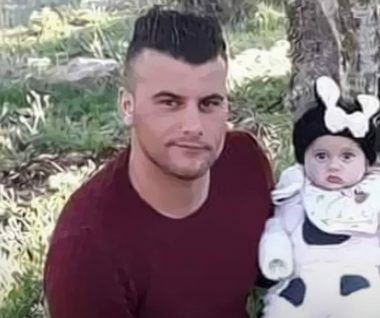 The Palestinian who was killed was identified as Mohammad Abdul-Mon’em Abdel-Fattah, 23, from Khirbet Qeis village in the Salfit district, in the northern West Bank. The one who was injured has been identified as Khaled Salah Rawajba, a 26-year-old resident of the village of Rojeeb, east of Nablus. He was shot in the abdomen and taken to Rafidia hospital in Nablus, where he remains in a moderate condition. The Israeli settler who shot and killed the young man tried to claim that “he had a knife” – but video footage taken by another Israeli settler on the scene, showing the brutal and callous treatment of Adel-Fattah’s body after he was killed, shows that there was no weapon. 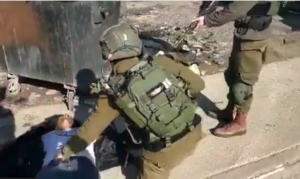 In the video, a soldier and a settler are seen kicking the young man’s corpse, flipping him over and going through his pockets, finding nothing. According to eyewitnesses, the claim of an attempted stabbing were completely false. They said that Mohammad was a truck driver who was waiting at the checkpoint when the Israeli settler closed the road with his car. Khaled then got out of his car and tried to tell the settler to move. But the Israeli settler began shooting. Khaled Rawajba, an employee at an auto repair shop on the side of the road, heard the altercation and stepped out of his workplace to see what was happening. He was then shot as well, and seriously wounded.